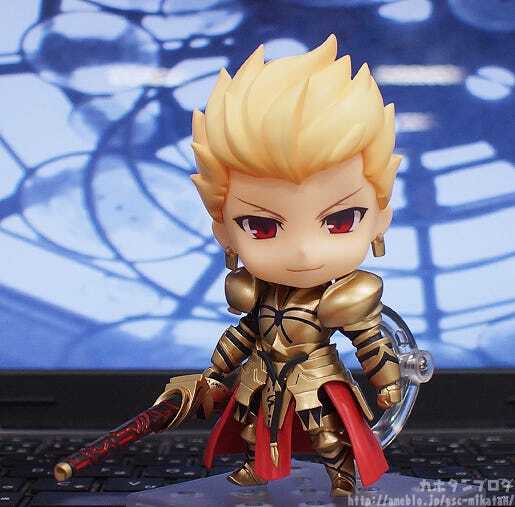 From the popular PC game ‘Fate/stay night’ comes a Nendoroid of the ‘King of Heroes’ dressed in his golden armor, Gilgamesh! 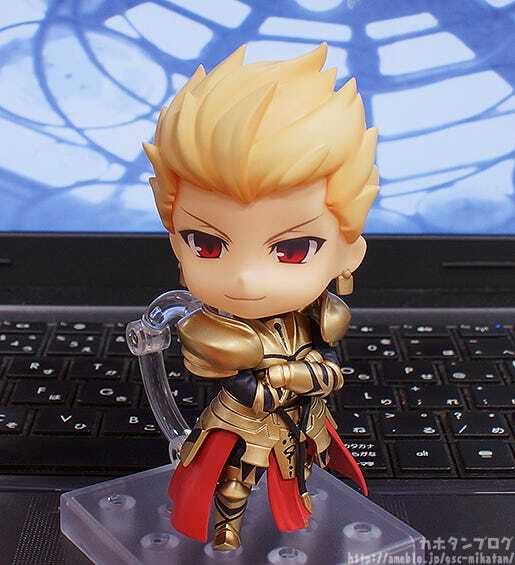 He comes with both his standard sneering expression, as well as a shouting expression. 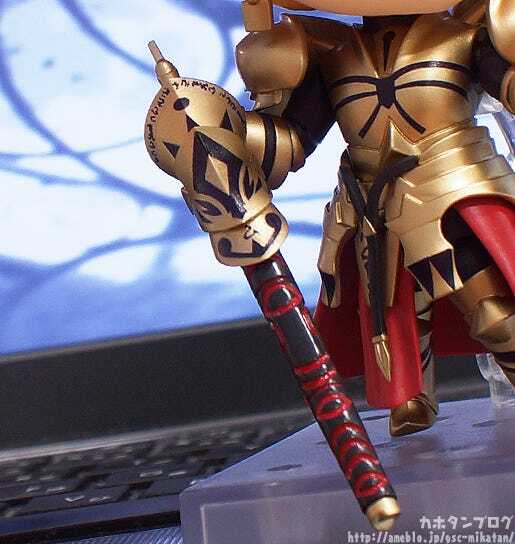 Additionally, special parts that allow you to display him with the ‘Gate of Babylon’ behind him are included, and the most powerful Noble Phantasm contained within the gate, Ea, the Sword of Rupture is also included for him to wield, allowing fans to display him in all sorts of epic poses from the series! 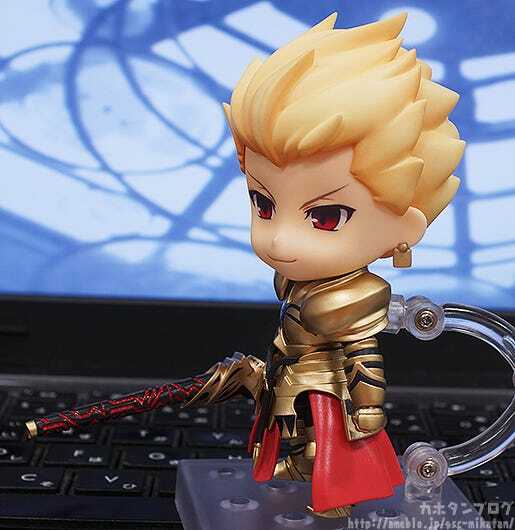 Gilgamesh has finally come to take over my desk!! 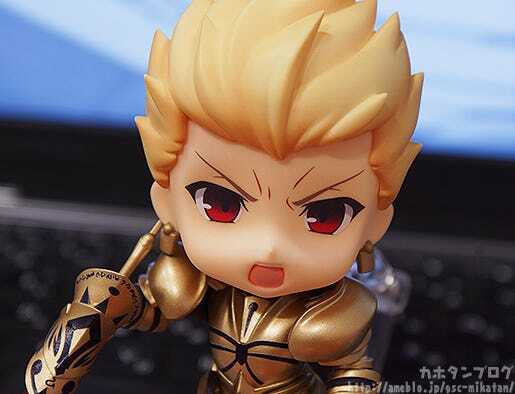 The very first male Nendoroid from Fate is ready to be officially announced soon! 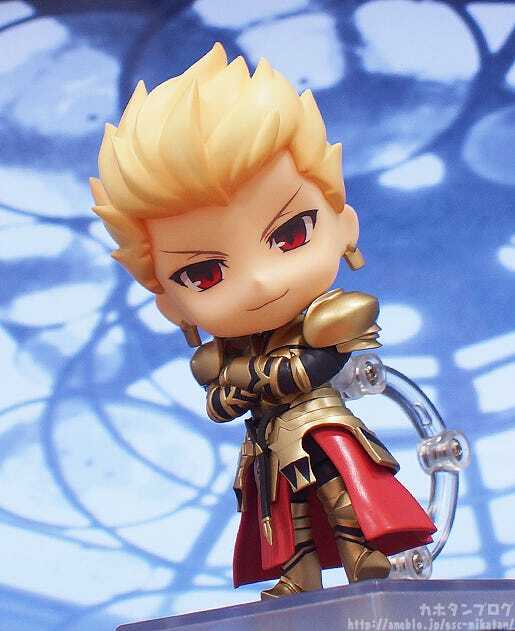 The most powerful of his Noble Phantasms, ‘Ea, the Sword of Rupture’ is of course included for him to wield! 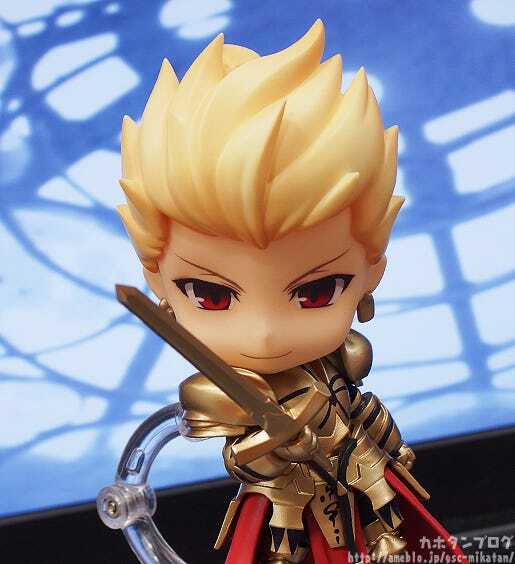 We’re joined today by the figure’s head planner, Yassan! Ooh! The markings and layers are all so lovely! He’s really a work of art! 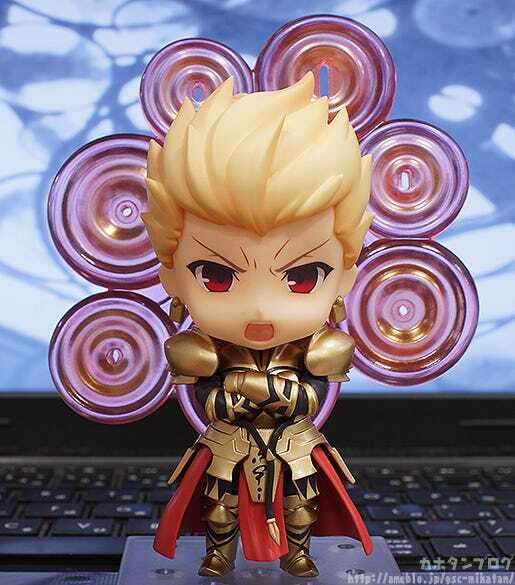 I-Is this what I think it is?! 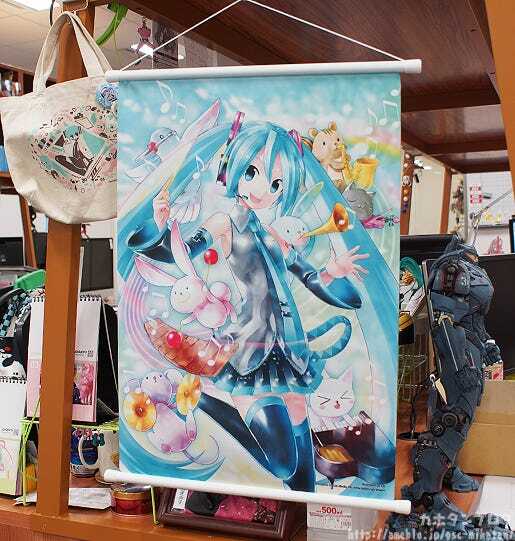 ( ﾟдﾟ )! It’s amazing! 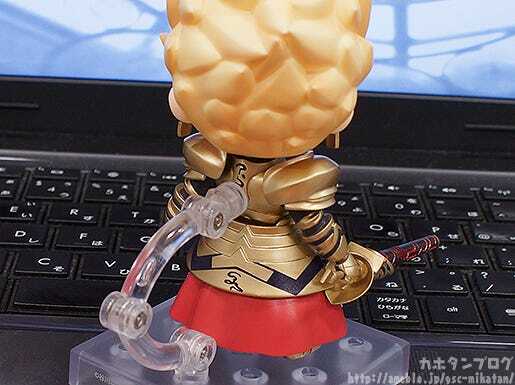 Even in Nendoroid size the impact is astounding! 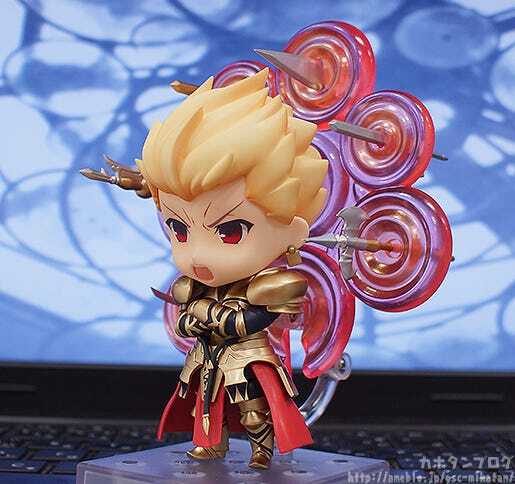 But to truly recreate the epic scene from the series… we need to have the Noble Phantasms coming out from the gate!! 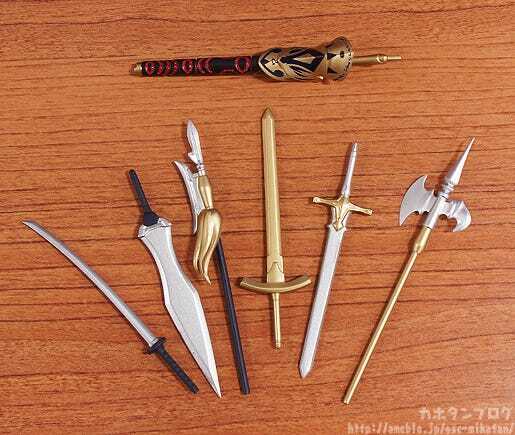 They’re all different types of weapons as well! 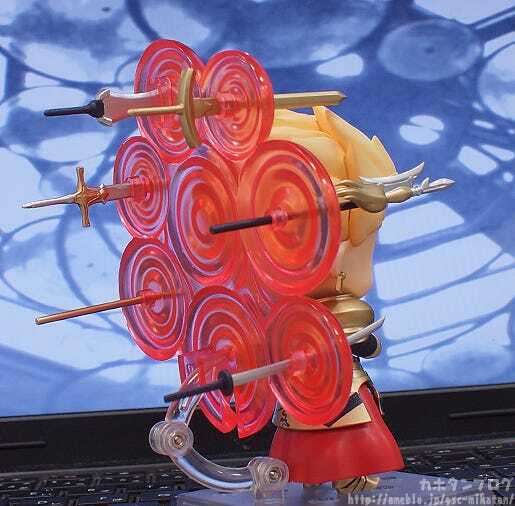 Ah, so each of the weapons are simply pushed through the gate! 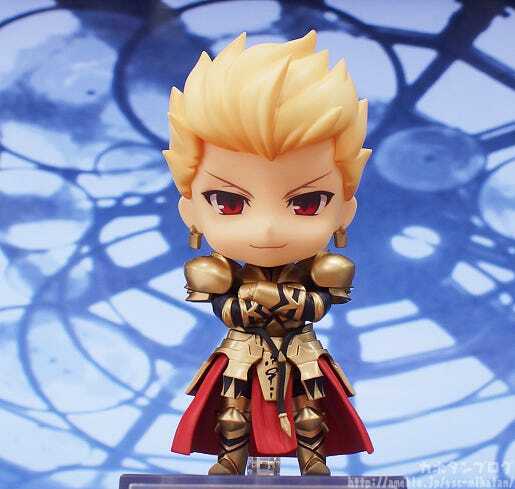 He will be up for preorder from the 9th April! 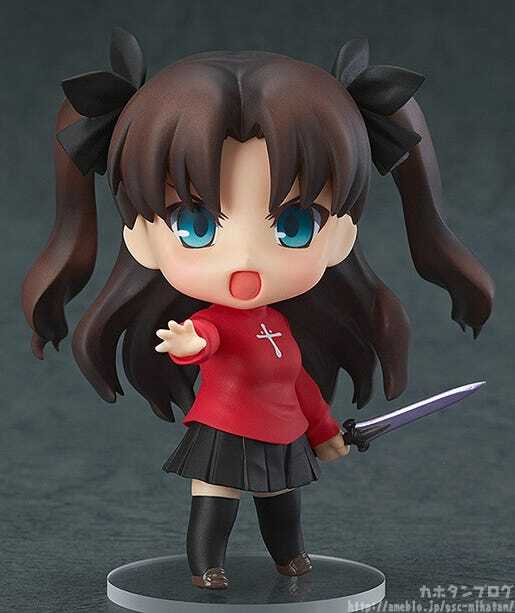 You’ll need to wait a little longer before you can order him, but if you’re a Fate fan don’t forget that Nendoroid Rin Tohsaka is currently up for preorder!